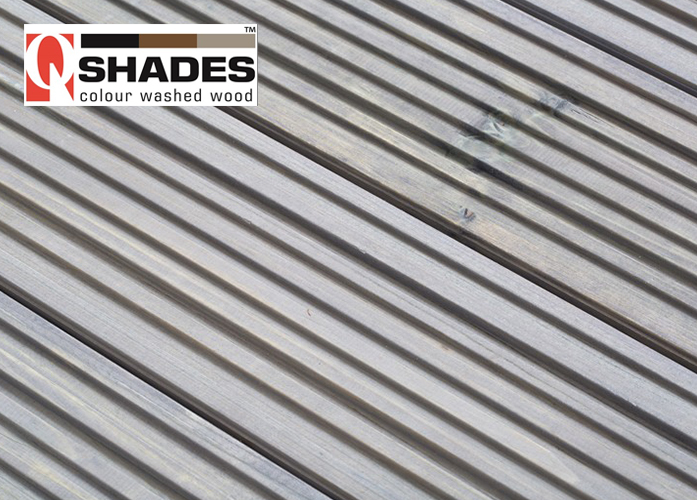 The Q-Shades Canterbury decking in pebble grey is prestained before the treatment process using a translucent colour wash. This results in a beautiful painted finish that preserves all of the natural grains within the timber. 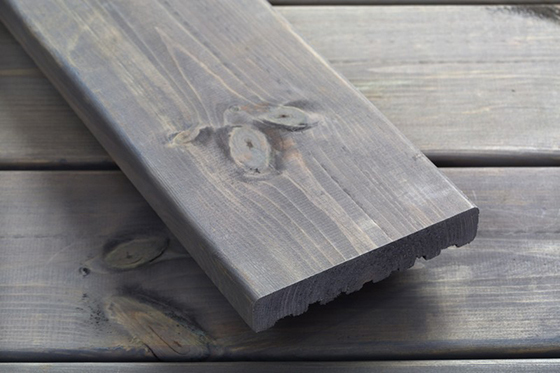 These decking boards can be used on the smooth side or the groove side up so you can choose the best option for your project. 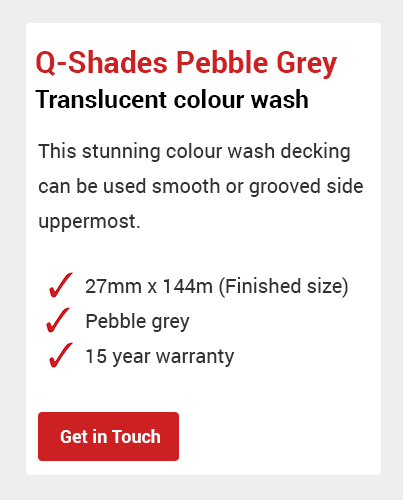 Recommended fixing: Q-Shades 4.2 x 75mm colour coded, stainless steel decking screws.